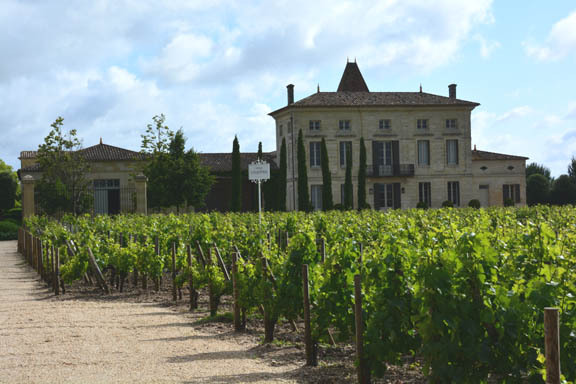 Jean-Pierre Moueix established Pomerol on the map almost single-handedly after the second world war. Having become the aristocrat of Pomerol, today Moueix is turning somewhat away from the negociant business, has sold off some of the minor chateaus in its holdings, and is focusing more clearly on a group of 9 top chateaus, mostly in Pomerol. Virtually adjacent to Pétrus, Vieux Chateau Certan is owned by 44 members of the Thienpont family. Thienponts seem to be all over Pomerol and St. Emilion, from Jacques at Le Pin to Nicolas and his son Cyrille who manage a group of chateaux in St. Emilion. Wednesday: variations in clay. With 9 chateaus, Moueix dominates the top end of wine in Pomerol. At the very peak are Chateau Hosanna (the most delicate in style) carved out from the breakup of Chateau Certan Guiraud, Fleur Pétrus (distinctly feminine and elegant), then a complete contrast with Trotanoy (the most masculine and weightiest), and of course Pétrus stands alone. It’s all determined by the type of clay. 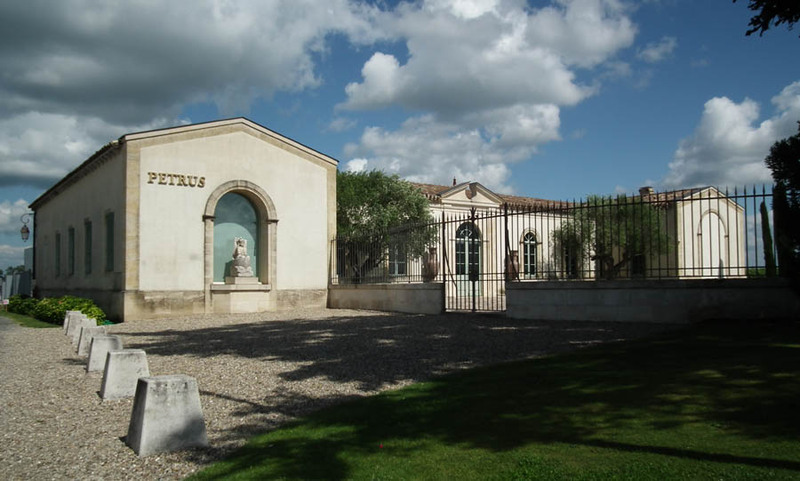 We met at Fleur Pétrus, which recently moved production from the old chateau just by Pétrus to a building opposite the church in Pomerol. 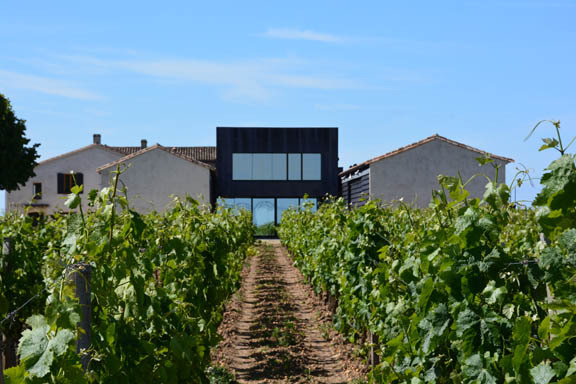 It’s the only one of the Moueix properties a visitor has any hope of finding: the others are all extremely discreet, with no signposts. 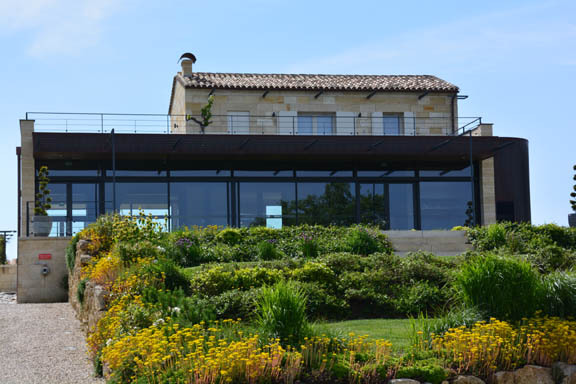 I reproach export manager Frédéric Lospied for the disappearance of Chateau Magdelaine, a Moueix property in St. Emilion, which has always been one of my favorites for its discrete style. 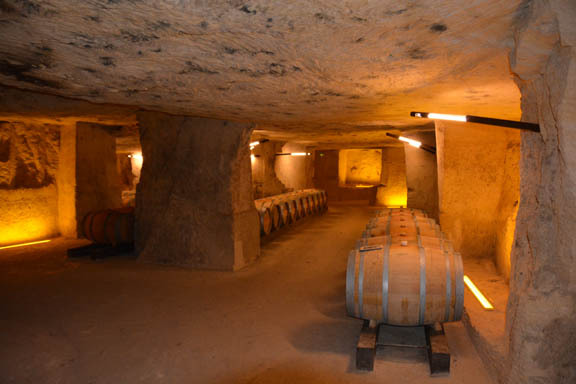 “Other people have been telling me that,” he says, but the explanation that combining it with Belair-Monange gives a more reliable, larger scale of production doesn’t really add up given Moueix holdings of tiny properties such as Hosanna and Fleur Pétrus. What are these vines? Chateau Petit Village is not receptive to discussing Cabernet Sauvignon and Cabernet Franc. After meeting at Chateau Pavie Macquin in the morning, we had made a tour with David of the properties in St. Emilion: Beauséjour Duffau Lagarrosse, Larcis-Ducasse, Berliquet, and back to Pavie Macquin for a tasting. The approach in the vineyards and vinification isn’t terribly different among the chateaux, and Stéphane Derenoncourt is the consulting oenologist for the group, but a tasting of the 2011 vintage shows the distinctive character of each of the chateaus. Larcis Ducasse is a little reserved, but you can see the increase in smoothness from the past, and why it was promoted to Premier Grand Cru Classé. It would be difficult to draw a line in terms of quality between Pavie Macquin (promoted to Premier Grand Cru Classé in 2006) and Beauséjour-Duffau (a Premier Grand Cru since the initial classification in 1955), but Pavie Macquin has the edge for overt elegance—“it plays between the power of clay and the minerality of calcareous terroir” says Cyrille Thienpont–whereas Beauséjour is more structured. The ringer is Château Berliquet: with vineyards just above Angelus and below Beauséjour and Canon, it occupies prime terroir but has never risen above Grand Cru Classé. I ask Cyrille why this is, but the answer is enigmatic. I remember that under Nicolas Thienpont’s management both Larcis Ducasse and Pavie Macquin have been promoted in prior classifications.